Are Mandatory Waivers Of Employee’s Right To File An EEOC Claim Against The Employer Unlawful In California? If you are being asked or forced into waiving your right to file claims with the EEOC, consult with a Los Angeles workplace discrimination attorney from Rager Law Firm. Call at 310-527-6994 today. Is it a form of retaliation – or anticipatory retaliation, to be more specific – if your employer is asking you to sign away your right to file a discrimination, wrongful termination, or sexual harassment complaint? Under California’s employment law, workers in Los Angeles and all across the state have a legal right to protect themselves from all forms of illegal workplace conduct that create a hostile work environment, including but not limited to workplace retaliation, discrimination, sexual harassment, and wrongful termination. But you probably knew this already anyway. Well, did you know that a mandatory waiver of claims is considered “anticipatory retaliation” by California courts? Employees in Los Angeles and all across the state have had success in suing their employers for requiring them to sign away their right to pursue a discrimination, sexual harassment, and wrongful termination claim. 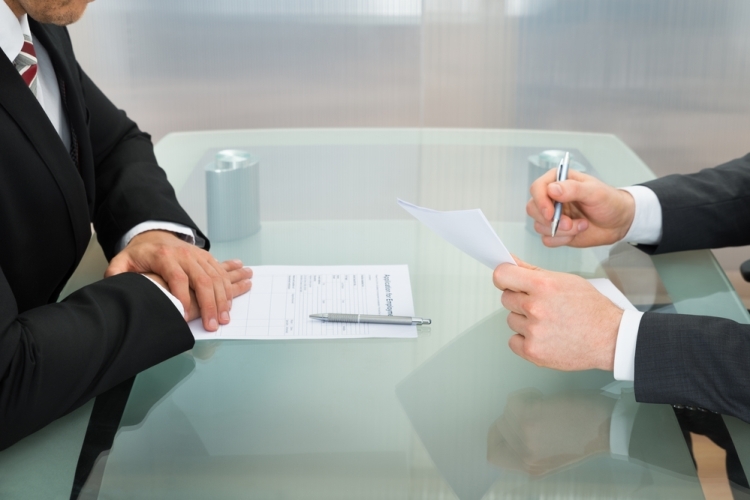 Are mandatory waivers of an employee’s right to file a claim with the EEOC unlawful? The Equal Employment Opportunity Commission has previously ruled that mandatory waivers of an employee’s right to pursue such claims to protect his or her rights in the workplace are a form of retaliation in advance, or, in other words, anticipatory retaliation. “In fact, under California law, such waivers are invalid and even unenforceable,” says our Workplace Discrimination Attorney Los Angeles at Rager Law Firm. In California, you are required to show a “materially adverse action” in order to prove your retaliation claim. Typically, this action is something that discourages or prohibits an employee from filing a claim with the EEOC. Courts in California have repeatedly ruled that mandatory waivers of rights to file such claims as a condition of employment can constitute a “materially adverse action.” In some cases, workers are required to sign away their right to file discrimination and sexual harassment claims prior to getting hired. In other cases, however, only “problematic” employees are required to waive their rights, especially when such claims are anticipated by the employer or the worker has previously filed one or more claims with the EEOC. More often than not, when an employer in California requires his or her employee to sign away their right to file such claims in the course of employment, the worker is facing a tough choice: agree to sign away your rights or get fired. “Oftentimes, employees who find themselves in this situation choose the former, and end up regretting their decision later on,” explains our experienced Workplace Discrimination Attorney in Los Angeles. By waiving your right to make a claim with the EEOC or in court you are basically allowing your employee to do whatever he or she wants and treat you in any manner he or she sees fit, even if it violates California’s employment law. If your employer is asking you to sign away your rights before hiring you or in the course of employment, treat it as a red flag. You need to protect your rights in the workplace at all cost, or else you could easily become a victim of unlawful retaliation at work. If you are being asked or forced into waiving your right to file claims with the EEOC, it is highly advised to consult with a Los Angeles Workplace Discrimination Attorney to learn about the options for holding your employer accountable for this type of unlawful conduct. Do not let your employer turn you into a victim of retaliation. Learn more about your rights as an employee in California. Get a free consultation by contacting Rager Law Firm. Call at 310-527-6994 today.